Mitte (which means middle, or center in German) is the central part of Berlin, and it encompasses the historic core of the city, including the most famous sightseeing attractions. 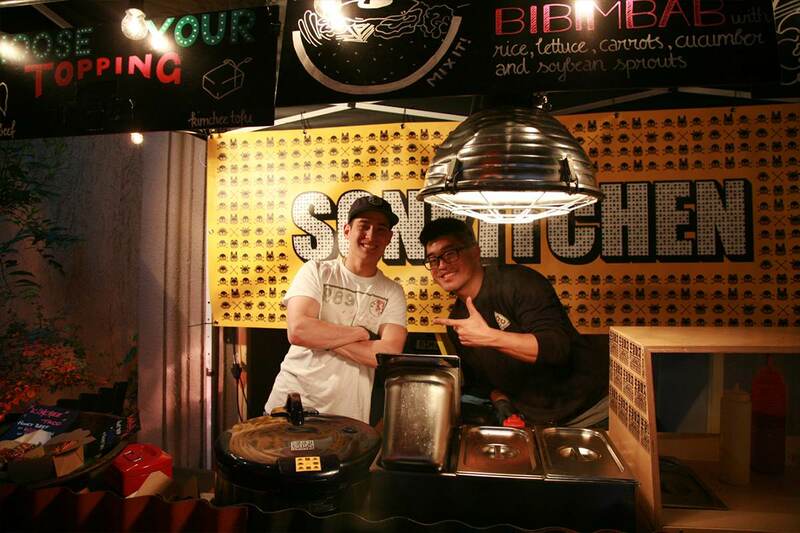 You can find some very cool restaurants, cafes, galleries in this area as well, and naturally, staying in Berlin Mitte is both practical and cozy. 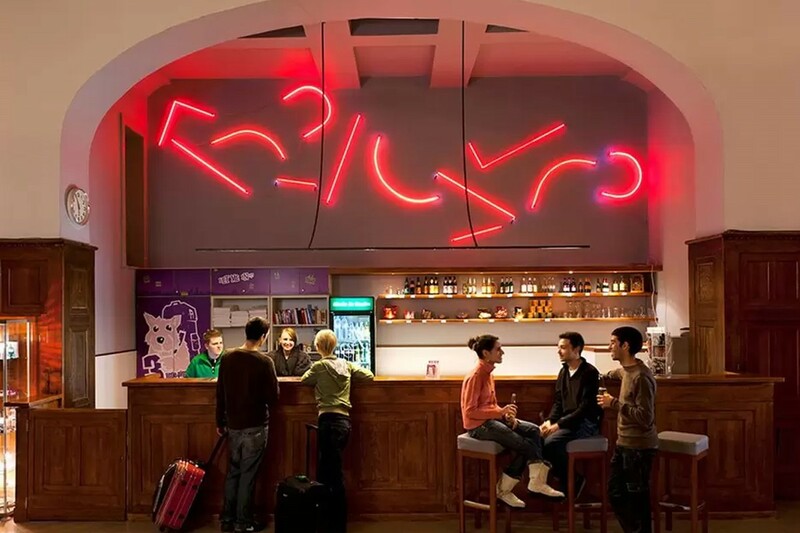 Depending on your budget, there is a variety of nice hotels, which will make you feel comfortable, and also give you a slight sense of what living in Berlin could be like. 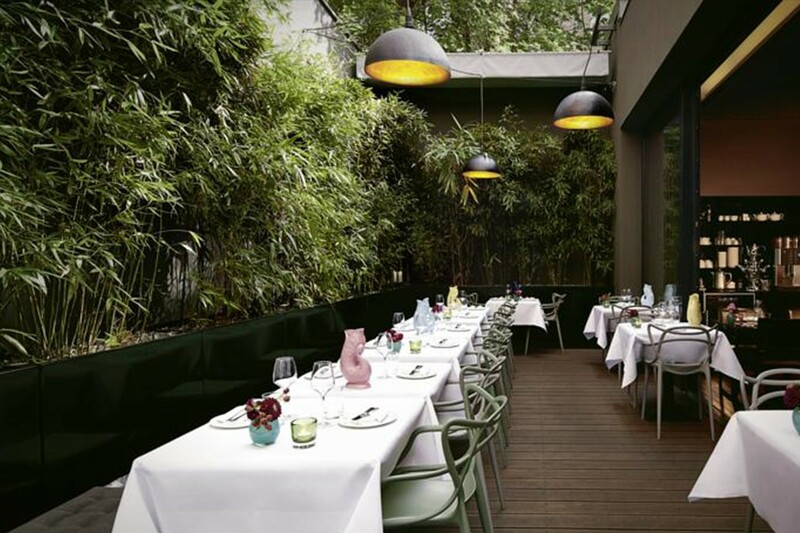 In one of our previous posts, we were talking about art hotels located in Berlin, and two of them are situated in this area: Arte Luise Kunsthotel, and Catalonia Hotel. So, you should probably check them out first – if you’re an art lover and want to be surrounded by that artsy atmosphere in Berlin, each step of the way. Now, if you’re not that passionate about staying at a place with such overwhelming artistic energy, you should also take a look at these 6 hotels, which could provide you with the type of centrally located accommodation that you need. The Weinmeister is one of the most popular hotels in the area, especially among the creatives – musicians, filmmakers, designers, artists. People who travel a lot and work in the music industry or film industry preferably stay at this hotel. It’s got basically everything you need, plus the oversize beds, plus the fine design, complemented by a touch of graffiti aesthetics in certain parts of the building, which occasionally breaks the minimalist spirit of the interior. Since the majority of people who stay here are either businesspeople, or people who have to stay in touch with their colleagues, they also have a boardroom, and pay much attention to technology. In addition to all of this – there is a beautiful terrace on the roof top, and it overlooks the entire city. People who stay at Grimm’s Hotel usually bring up its favorable quality-price ratio, so this hotel could be your best choice! (But don’t let that stop you from looking at the rest of our list, there are some other great hotels below). There are actually two Grimm’s hotels – the one at Potsdamer Platz, which opened in 2015, and Grimm’s Berlin Mitte, which is in the very heart of the central zone of Berlin. Apart from the splendid location and the many recommendations, the hotel promises to offer a friendly atmosphere, and also singles out great food as one of their best qualities. They also add: It won’t just be culinary delights that surprise you – we believe the whole hotel to be an entirely enchanting experience. 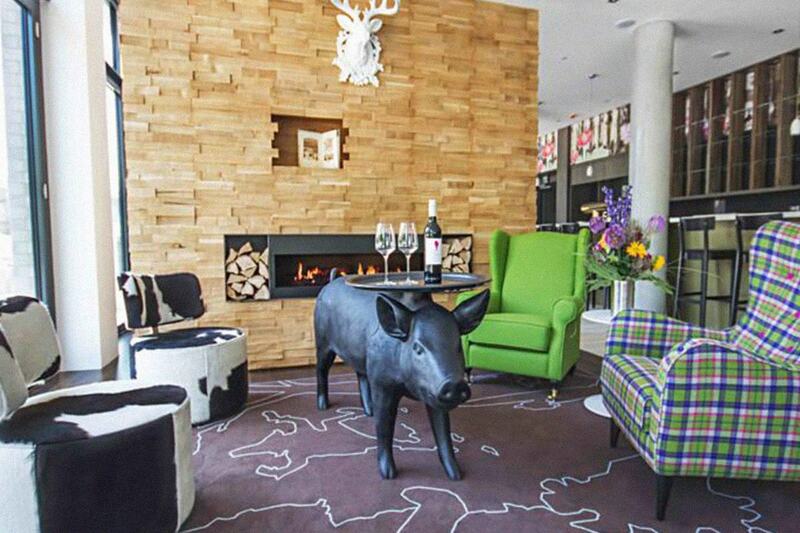 Boutique Hotel i31 is located just 1 km from Berlin Main Station. Its rooms are individually furnished, aiming to provide a homey appeal, which you don’t usually come across as a traveler. There is a nice restaurant in the hotel, but in case you don’t like the food – some of the greatest restaurants are just minutes away. 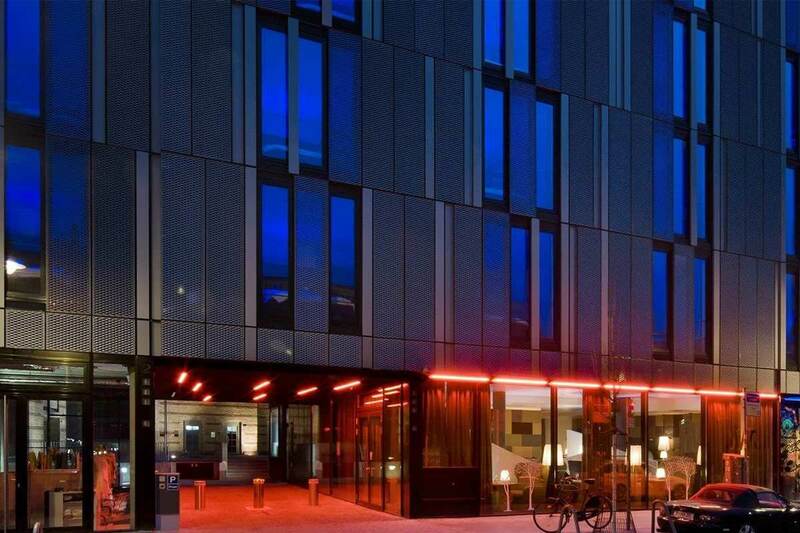 According to their own judgement, this hotel is suitable for architecture and history lovers, the ones who visit Berlin mainly in order to explore its museums and the historic heritage (but of course, it could be comfortable to anyone else who likes it, really). One of the main reasons you might like it is the beautiful garden that they have, presented on the image above. 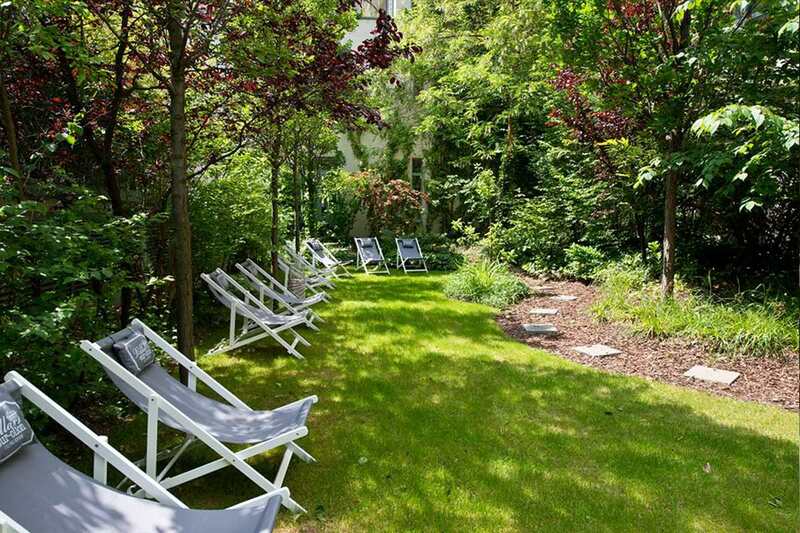 This stylishly furnished hotel is situated in Torstraße, very near the popular Hackescher Markt. MANI hotel is part of the AMANO group, which has another, even more luxurious hotel located in the area. MANI Hotel is equipped with real parquet floors, warm wooden panels in the lobby, cozy furniture and atmospheric lighting. In addition to these important qualities, the hotel also offers laptops, bikes and iPods, which can be rented. On their website, they define their style as elegant and contemporary, and perfect for frequent travelers who don’t have much time to stay, but still want to experience the best of Berlin. And here’s a nice little hostel for young people with a slightly lower budget. To be completely honest, it is not really inside the strict Mitte area, but it is very near, in Kreuzberg. Since it is a very sweet, unique and cheap place to stay, we’ve decided to put it on the list, regardless. 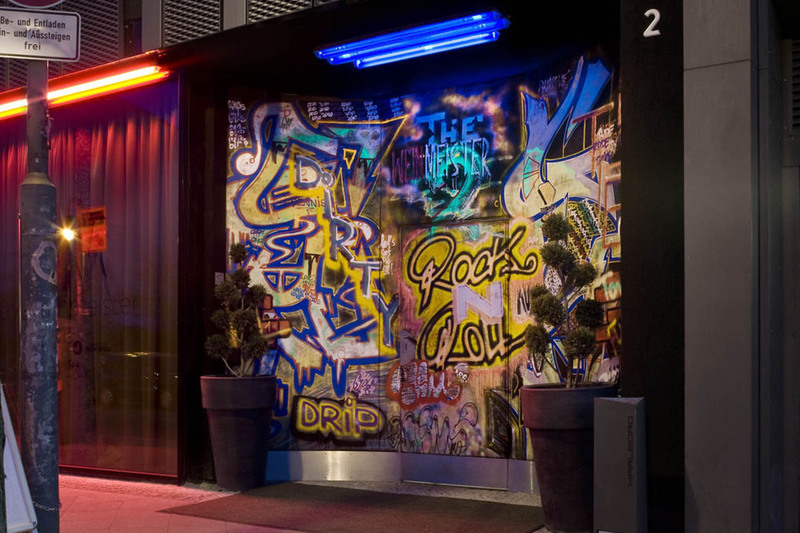 The hostel is very near some of the main tourist sites and meeting points in Berlin – less than a kilometer away from Potsdamer Platz, and 600m away from the famous Checkpoint Charlie. The hostel occupies an old building (it was built in 1907), and exists since 2006. It offers many types of different rooms, so you should check them all out on their website. If you’re traveling in group with friends, and really don’t care about the luxury, this could be a perfect place for you. This is another affordable type of accommodation, and it seems to be one of the most interesting places of its kind in this area. Amstel House is classified as a hostel, but it is somehow more like a big, shared, happy family house (exactly like its name says). You can’t really expect much from the rooms in hostels, although this one seems to be very clean and colorful. But since the emphasis is not on the rooms, Amstel House compensates by hosting exciting events, DJ and Karaoke nights, parties, and lots of other fun happenings, which usually take place in their 24/7 open bar. The people who stay here seem to have no problem to fit into this lovely community, so it even makes you wonder how it all works, since the travelers constantly come and go.